Galaxi 2P Tent: 2-Person 3-Season by NEMO Equipment Inc.
Stargazing is an absolute essential when you're backpacking under a clear sky, and you can find each constellation perfectly through Nemo's Galaxi 2P Tent. This is Nemo's best-selling two-person tent for its light weight and convenience ideal for all experience levels. Beginners will appreciate the simple setup, while more advanced backpackers can admire the small details that enhance your camping experience, like the pre-bent poles that create a larger interior. A removable rain fly with a complete mesh canopy underneath grants the Galaxi three-season versatility in springtime, summer, and autumn. 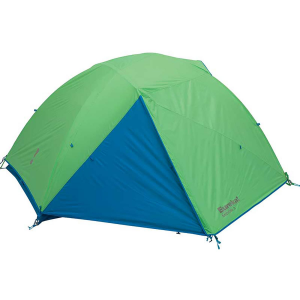 Currently Viewing NEMO Equipment Inc. Galaxi 2P Tent: 2-Person 3-SeasonMore by NEMO Equipment Inc.